Articles with keyword "Dominican Church"
At the end of the 16th c. Lublin citizens suffered from a string of misfortunes. In 1572 the town was hit by plague. Further epidemics struck the town many more times. In May 1575 Lublin was almost completely gutted by the raging fire. The fire destroyed the Cracow Gate, the Grodzka Gate, the Town Hall, the Church of St. Michael, the Dominican Church, and the Market Square. However, Lublin was able to rise up from the disasters quickly. At the beginning of the 17th c. the town upon the Bystrzyca river already had 12 000 citizens. The description and the picture of Lublin in Braun and Hogenberg’s Theatrum praecipuarum totius mundi urbium, published in Cologne in 1618, were placed on a par with descriptions and images of the oldest and biggest European cities. 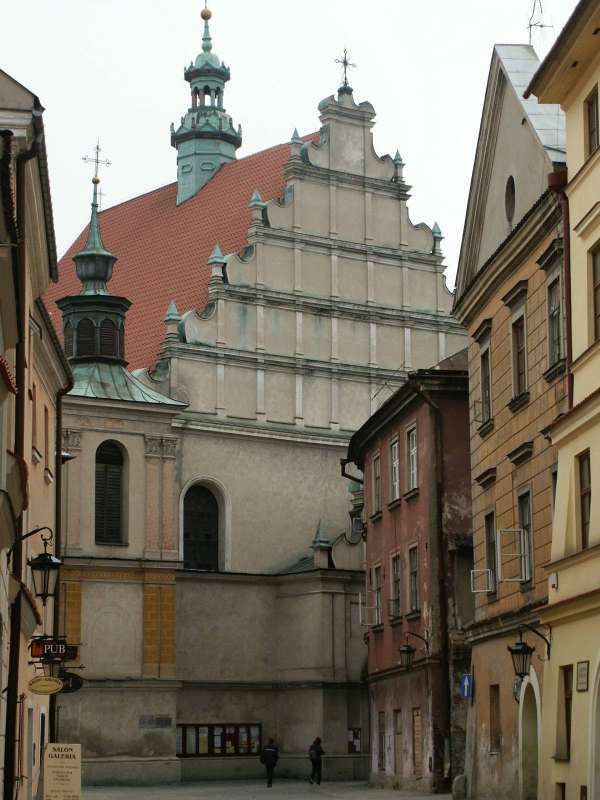 By that time, the town already had its bugle call, and the miracle of the Holy Cross Wood relic in the Dominican Church (1649) made Lublin a place of religious worship.